I'm pretty picky when it comes to apps, and try to avoid having pages and pages of them on my phone by only reserving space for those I actually value and use often. However, when an app comes around that makes my life easier, I'm all for it. 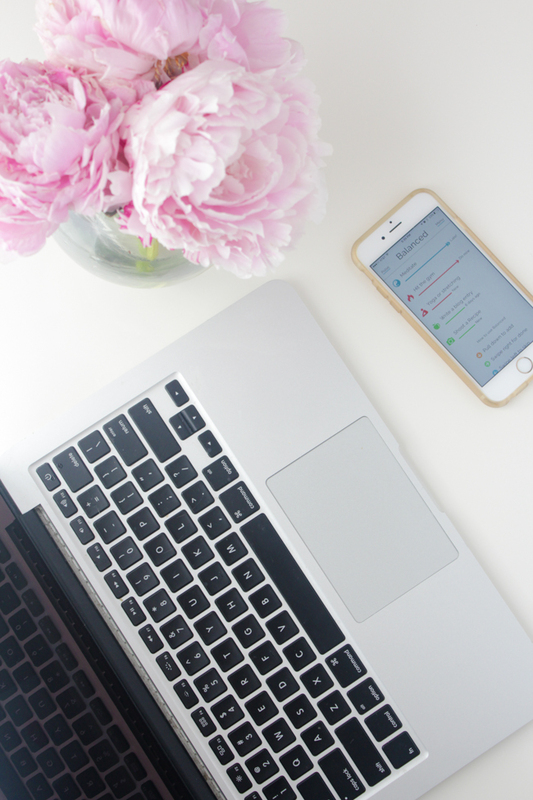 These five apps help keep me organized and informed when managing my blog and I have a feeling they're about to become your favorite apps as well. P.S. Most of them are free or very inexpensive! Asana: A beautiful platform for organizing projects in terms of individual tasks and deadlines. It's meant to help coordinate between teams, but I find just as much use with it solo. When I first started blogging, I had so many ideas free floating in my mind that I wanted to accomplish, but no where to organize them. Now I divide them into larger projects in Asana, such as Research where I include tasks like "Learn about SEO" or "Take a food photography class" and Exposure, which includes tasks like "Connect on LinkedIn" and "Order business cards." Dark Sky: I'm slightly obsessed with the weather in my personal life, but even more so when it comes to shooting recipes since natural light is so essential for getting beautiful photos. I love Dark Sky because it tells you the temperature and chance of rain for your exact location, not just for your city (crucial for navigating the micro climates in San Francisco). It's also incredibly accurate and tells you the time of the sunset down to minutes, which makes it easy for me to determine the best time of day to shoot. Evernote: This is the ultimate app for jotting down random ideas or lists, and it's much nicer to look at than the notepad app that comes with the iPhone. I also love that it lets you organize your notes into different notebooks. I have one for grocery lists, jotting down recipes while I'm cooking, and brainstorming ideas for future posts. Balanced: This beautifully designed app is a combination of a to do list and a personal coach. It allows you to add preset reminders like drink more water, take a walk or stretch, but also lets you customize your own. On my app I include items like, write a blog post, shoot a recipe and search for inspiration, that the app reminds me to do weekly. Google Analytics: For the most part, I check Google Analytics on my desktop, but I really like having access to it on my phone as well to check how posts are performing on the fly. I also find the app extremely user friendly and appreciate the simple layout, which can be easier to navigate than the multiple options and views you see on your computer. I seriously need to get into Evernote, but Balanced sounds like a seriously great app to try. I definitely need to be reminded to drink water, haha. In fact, reading "drink water" on your blog post alone reminded me and I took a sip of water. Haha! I love that. It's funny how little reminders throughout the day can really help keep us on track. I love using tech to make life easier and Balanced and Evernote definitely do. Let me know what you think if you download them! It can definitely be a big task! These apps make it easier though instead of just adding excess fluff. Thanks for stopping by! Yay! So glad. Let me know what you think! Thanks for sharing, Ill have to check a few of these out! They're super helpful! I love all of them and I'm super picky when it comes to apps! Thanks for visiting. Ooo must look into dark sky!! Thanks for sharing these, girl! Great list! Great list! I have recently started using Time management app(Dropbox) , it’s a really nice app, too.